1.) Our tendency to ignore other Scriptural mandates lends itself to hypocrisy. So if the Bible does condemn homosexuality as a sin then what about all the other sins we conveniently overlook and accept? What about the call to Christian peacemaking and nonviolence (Mt. 5:44, Lu. 6:37, Mt. 5:39)? What about the warning against anger and divisions (Gal. 5: 19-21)? Warnings against greed and wealth (Proverbs 13:11)? What about the Sabbath (Ex. 20:8-11)? What about taking care of the poor (Ja. 2:15-16)? The fact is that if Scriptural references are our only point for engaging in the discussion on homosexuality, we’re giving every dissenter who knows how to use a Bible concordance unlimited ammunition to throw back in our own faces. 2.) Our denial of tradition gives us little ground to on which to stand. By following in the footsteps of the Reformers and adhering to the proclamation of Sola Scriptura (meaning that Scripture alone is our authority), mainstream Protestants have abandoned tradition as an authority particularly when it comes to referencing and exegeting Biblical texts. This is a fundamental foundation of our belief; no one’s singular translation or application of Scripture (i.e. le Pape) can be held above someone else’s. I’ve heard numerous Protestants in this discussion reference the “traditional” consensus of Biblical translations against homosexuality. But there en lies the snare: trying to base anything on a “traditional” translation of Scripture immediately lends itself to Catholicism. But if we were Catholic we’d accept the traditional understanding of Scripture on numerous other points, such as (just to give one not-so-random example) abstaining from birth control. 3.) Our modern lens hinders our exegesis. In the modern model of studying Scripture, we claim there is an actual definitive meaning of each text, which can be found via the dutiful elimination of all subjective bias and influence. Karl Barth is one of the more prominent theologians to point out that this notion is fallible and, in fact, fails to give due justice to Scripture itself. Unfortunately, we turned a deaf ear to such naysayers and have continued to pull meanings from Biblical passages without removing our biases, refusing to acknowledge they even exist. Thus, if I am a heterosexual male with no attraction to other men, I will inevitably carry a premonition concerning the topic with me to the text. If I am someone who, however, finds myself regularly attracted to the same gender, I will examine the text from a completely different perspective. When I am taught that these premonitions do not exist, then I am in truly in danger of tainting the true meaning of the text with my own prejudices. And, like a man describing a midnight landscape with sunglasses on, the moment someone else comes along with a different shaded lens two viewpoints will clash as both claim to be right. Thus, when trying to argue the Scriptural basis for homosexuality we cannot do so without destroying someone else’s perspective. But that someone else is just as convinced as we are that they have the right answer. This describes a majority of the divisions among Christians over homosexuality: two people standing side by side with different pairs of glasses bickering over a picture that’s much different than either of them can see. Don’t misunderstand me: Scripture should be the foundation of our faith. But the Bible is not the foundation of the faith of your neighbor, the basis for your company’s policies or the guiding principle of our country. Attempting to cite it against a gathering wave of judicial precedents, humanistic logic and personal passion is like reading a car manual to an Amish student. When we cite Scripture as our support to someone who does could not give a kick and giggle about its existence, it falls on deaf ears. Scripture, though amazing and valid for many things, can no longer be the totality of our argument. Again: I am not arguing against Scripture as our authority. If anything I am promoting a more arduous and dedicated study of Scripture such that it seeps into everything we do rather than acting as footnotes to our own ideologies. Because snippets of Scripture can no longer be the fruition of our argument; we must start to view it as the soil from which our viewpoints grow. We are all guilty of utilizing flawed logic as the foundation for our use of Scripture in cultural discussions. We must seek for Scripture to become the foundation, the basis, from which sound reasoning and logic flows. The Bible must be our anchor but it cannot also be the flag under which we sail. Like roots to a garden flower, Scripture ought to act as the sustenance for honest and humble logic, though it may not always be seen. Any other attempts to engage in this conversation will no longer suffice. Scripture, while vitally important, must settle into the background of the pictures our arguments paint. And the ultimate goal of our arguments shouldn’t be convincing someone that our viewpoint is correct, but rather acting as a testimony to the beauty of our common Creator. With a lot of grace, a dose of humility and a wise utilization of Scriptures as our foundation, our discussions on this topic may accomplish just that. I find Romans 1:27 very clear no matter your worldview. You, in a lengthy matter, exhorted us to defend our case with Scripture and yet without. But you don’t say how this is done. 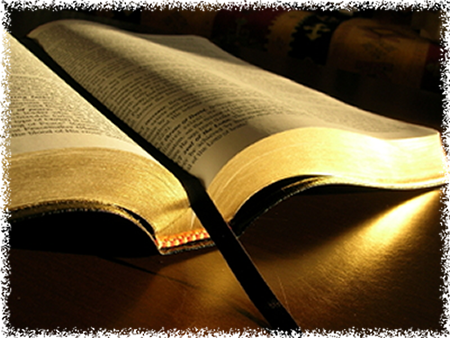 The Scripture is God-breathed, and people will believe in God because of the hearing of the Word. (Rom. 10:17) Because some won’t regard Scripture as a qualified argument doesn’t mean we cease from using it. It’s not like a car manual to an Amish person because the Bible is the only book that is living and active. I feel we don’t use Scripture enough. Just let God speak for Himself. I would appreciate though if you’d give an example so I can more clearly understand what you are trying to convey. Josh, thanks for reading and for your feedback. I think a better word for what I’m positing would be “citing” Scripture. I agree with you that we don’t use Scripture enough, but what I am positing is that we also learn to use logic and rhetoric with which to engage in the culture of our time (Paul was an example of mastering this technique). A very basic example of this might be taking the truth of Genesis 9 which says: “Whoever sheds human blood, by humans shall their blood be shed” and incorporating the truth of that statement into a discussion with something like “violence perpetuates violence” as opposed to the blatant “Well, in Genesis 9 it says this…”. The first is much more subtle and can introduce Biblical truth to someone who might otherwise be completely closed off to it. I say this hoping to prompt us to dig deeper into Biblical text to truly understand its meaning and wisely incorporate that into conversations that effectively interact with and engage the culture around us. Thoughts? Thank you so much for your reply and I apologize if I misunderstood your blog. I completely agree with this.I hear many people throw verses around and usually out of context. Also, I feel the homosexuality issue is lesser than the issue of their salvation. Trying to convince a nonbeliever to believe in God’s morality is like trying to tell a dog to fly. It’s not in their nature or ability without the Spirit. So reading to them, if they’re willing to hear, straight from the Bible is the best way in reaching them because God speaks through his Word. But our actions must back up the words or they won’t listen either. Joshua, I connected my Facebook account just to say that I wholeheartedly agree with you. But his first point still holds water. There are plenty of Biblical exhortations we overlook, and these can easily be used against a purely Scriptural argument. Also, just because the Word of God is living and active, doesn’t mean that anyone will care, or that as soon as you begin with: “well the Bible says” they won’t just stop caring what you have to say. And finally, the whole idea of argumentation assumes we are rational and make decisions and change our points of view based upon a preponderance of evidence contrary to our current viewpoint. Regardless of how we argue for sin, the gospel, Jesus, whatever spiritual thing someone needs convincing of, they will not be primarily affected by the coherence of argument, but by the living example, or by something mystical that God only knows. I think I’m tracking with you Bryn. Will, great thoughts and thanks for interacting! I realize my portrayal of the Protestant relationship to tradition wasn’t given nearly enough space (alas the problem of blogging) and I regret that it came across as a straw-man. I appreciate you pointing that out-for that was certainly not my intention. I agree with your sentiments on wanting to return to Rome, but what I was trying to elucidate is that while Reformers did hold Scripture alone as highest authority and didn’t discard tradition entirely, I see a snowball effect into Protestantism (specifically of the American brand) today that values and assigns authority to tradition based solely on our own merit. Thus, we give authority to the traditional Scriptural notion on homosexuality, but refuse to acknowledge the authority of the tradition of abstinence from birth control. While I’m not disagreeing with either of these Protestant positions, I am concerned that this illustrates an inconsistency within us that must be addressed when presenting Scriptural notions to culture, specifically on such issues as homosexuality. Do you agree? Disagree? How might I have phrased that differently? What then should we use? We should use Scriptural truth without blatantly citing it and we should acknowledge that it is possible to cite Scripture and still be wrong. I am attempting to encourage a deeper and more dedicated study of the Biblical text. We need to immerse ourselves in the text but also have one foot in the language of our culture- understanding the environment we are trying to reach with the good news and then translating that Scriptural truth into a language of the culture. Understanding the gospel message goes far beyond being able to cite John 3:16, it requires being able to articulate and state what this actually means to the current culture and asking ourselves not how this truth relates to us but, rather, how we relate to the truth. I’m not sure if that’s the answer you were looking for or not but please ask further if that wasn’t clarifying!